Tesla is rolling out a software update to its Autopilot feature designed to prevent accidents like the one that resulted in the death of Tesla owner Joshua Brown in May. The new update will employ radar as a primary signal processing component in addition to visual image recognition via the car’s cameras. Brown died when his car, running on Autopilot, collided with a tractor trailer. In that event, the car’s autonomous cruise control systems failed to properly identify the obstacle. This reportedly happened due to the trailer’s color blending with the bright sky. Brown may have also been watching a movie and not paying attention to the road at the time of the accident. Tesla warns that drivers should never take their hands off the wheel even while in Autopilot mode. 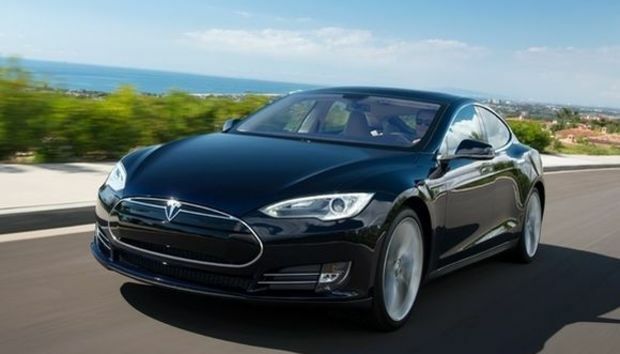 Previously, Tesla used its radar hardware only as a supplementary component. The radar system is only good at identifying metallic objects, but could misinterpret the actual size of these items. Radar left to its own devices could therefore interpret numerous false alarms and engage the brakes unnecessarily. Now, however, the company says it has figured out a way to get around this false positive problem. First, Tesla says the new software will allow current vehicle hardware to identify six times as many radar objects, and more data about each object. Then, the car’s systems use the increased data to create a 3D representation of the world around the vehicle. This 3D “picture” not only identifies what the surroundings “look” like it, also monitors velocity and expected trajectory to figure out if there’s a probability of collision. Finally, Tesla will use crowdsourced data—the company calls it “fleet learning”—from Tesla vehicles on the road to map the locations of large road signs, bridges, and other stationary objects. This database can then help an individual car decide whether it’s safe to proceed in situations where radar might give a false positive. Tesla says this can happen when radar detects a large overhead highway sign or an overpass where the road dips underneath it. The story behind the story: Tesla’s latest update is aimed at concerns raised over the Autopilot system in the aftermath of Brown’s death. The tragedy prompted critics to wonder if the current trend of autonomous driving was too new to be in mainstream use. Tesla arguably has the most advanced autonomous system currently available in consumer-grade vehicles, and therefore the most to lose. Most autonomous systems in other cars are limited to specific situations such as parking, emergency braking, and preventing lane drift—Infiniti also has an intelligent cruise control system. More autonomous passenger cars are coming, however. Uber hopes to have autonomous cars ready for mass deployment by 2021, as does Ford. Many other car manufacturers are also working on adding incremental autonomous systems to their vehicles with each new model release. Tesla’s new update should roll out to existing cars in the next one to two weeks, according to TechCrunch. Quotes of the week: "Chasing Pokeymans"